Before 2005’s BAPCPA debtors could bring themselves current on their car loan, file bankruptcy, continue payments, and keep their car, both during bankruptcy and after their discharge, so long as they didn’t miss a payment without reaffirming the debt or redeeming the property. But post-BAPCPA, can you file bankruptcy in California and keep your car without signing a reaffirmation agreement or redeeming the vehicle? Don’t know what reaffirmation or redemption is in bankruptcy? Then you should definitely call a bankruptcy lawyer. What if you just make the attempt to reaffirm the debt? (B) to take timely the action specified in such statement, as it may be amended before expiration of the period for taking action, unless such statement specifies the debtor’s intention to reaffirm such debt on the original contract terms and the creditor refuses to agree to the reaffirmation on such terms. (d) If the debtor fails timely to take the action specified in subsection (a)(6) of this section, or in paragraphs (1) and (2) of section 362 (h), with respect to property which a lessor or bailor owns and has leased, rented, or bailed to the debtor or as to which a creditor holds a security interest not otherwise voidable under section 522 (f), 544, 545, 547, 548, or549, nothing in this title shall prevent or limit the operation of a provision in the underlying lease or agreement that has the effect of placing the debtor in default under such lease or agreement by reason of the occurrence, pendency, or existence of a proceeding under this title or the insolvency of the debtor. Nothing in this subsection shall be deemed to justify limiting such a provision in any other circumstance. 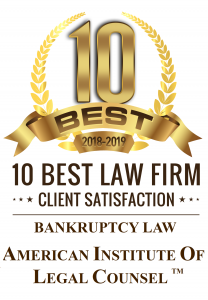 Save yourself the hassle and possibly the loss of your car by calling California bankruptcy attorney Adam Garcia for a free consultation.